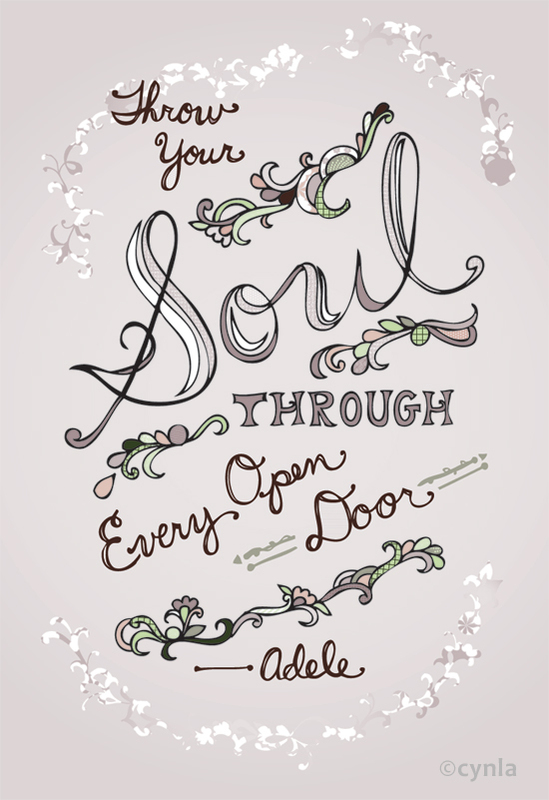 Here’s the poster of the sketch I did of this Adele quote. We had to make it 13×19 for class, but I might resize to 8.5×11 so I can make prints. I love this quote – and I’d love it on my wall to remind me to put my all into everything. It’s easy to get lazy with design, or lazy to create – but even if it’s something you don’t think you’ll be able to use for your portfolio, make it into something that you can. This is how I would apply it to graphic design jobs, but it can apply to really anything in your life. Find a door and throw yourself through it!